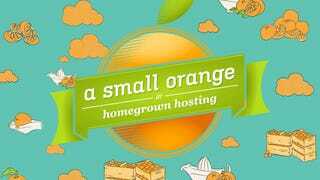 With A Small Orange you get a better hosting service, one where you only pay for the resources that you need and never have to fight others for disk-space or bandwidth. Get 27% off their Small Shared Plan using promo code Lifehack and pay just $3.65 per month. Fast and durable SSD storage. Plus all of A Small Orange’s annual plans (excluding the Tiny Plans) come with two free months and a free domain. Start your site today and save 27% on the Small Shared Plan. Use promo code Lifehack.